Renting property has been with us for a long time. In that time relationships have been identified and the Law has followed. With the Law comes duties and rights. There is probably no other subject that has so many duties and so many rights than landlord and tenant. 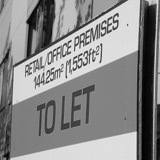 It does not matter whether it is residential or commercial property. There is a body of Law that is always available to support the particular circumstances. There is well drafted Statute Law that has adjusted to the social demands over the years. The Law protects the tenant more than the landlord. This is because the tenant is perceived to be the weaker person in the equation. It is also for historical reasons when tenants, particularly residential tenants could be evicted without cause or justification.